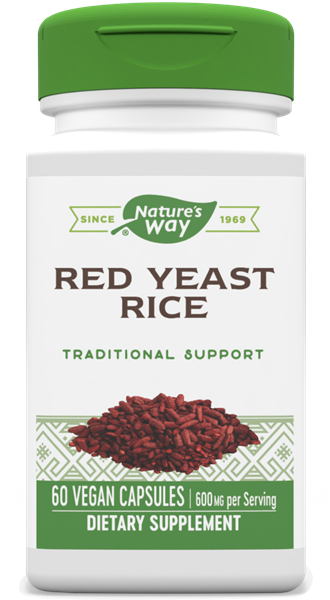 Red Yeast Rice / 60 Vcaps - Nature's Way®. Traditionally used in Asian cultures. Red Yeast Rice is a unique product traditionally used in Asian culture. Take 1 capsule two to four times daily, preferably with food. Do not exceed four capsules per day. Do not use if you are pregnant, nursing or have liver disease. If you are taking any medications, consult a healthcare professional before use.